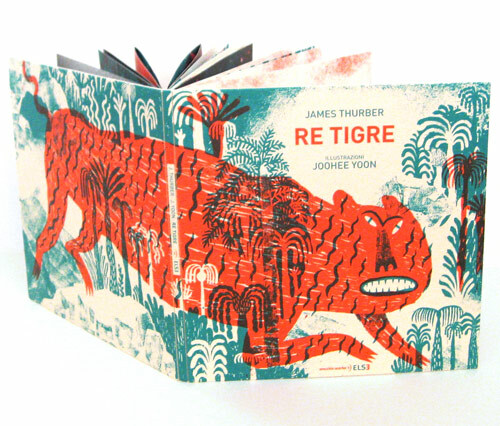 James Thurber’s Re Tigre (Tiger King), published recently by Orecchio Acerbo in collaboration with Studio Else, is making it extremely tempting to buy another book in a language I can’t read. 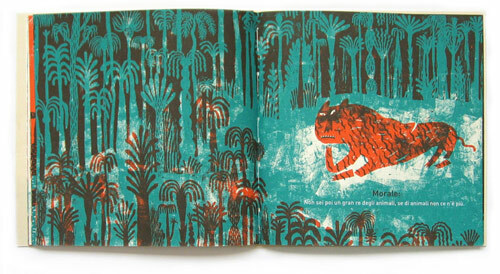 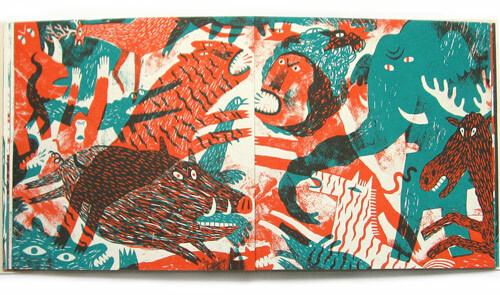 The picture book is illustrated by JooHee Yoon, who combines printmaking and drawing to achieve her gorgeous, tactile style. 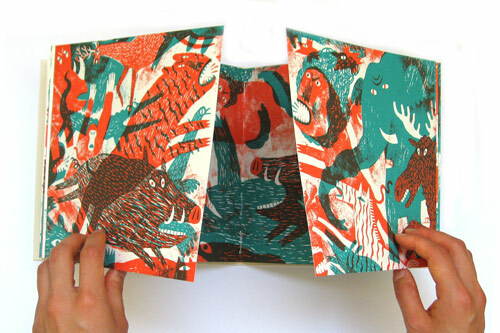 I’ll bet this foldout section is stunning in person. 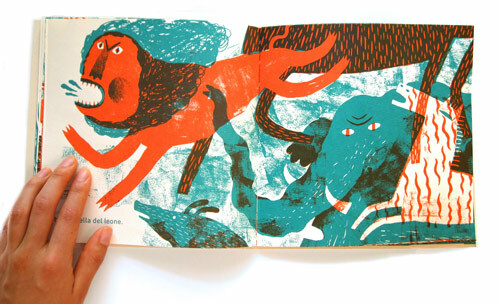 Be sure to check out JooHee Yoon’s other works; I really can’t over-exaggerate the warmth and charm of her editorial illustrations.